When an emergency strikes you do not want to be without a plan! Almost everyone has heard of and respects the work of the American Red Cross. 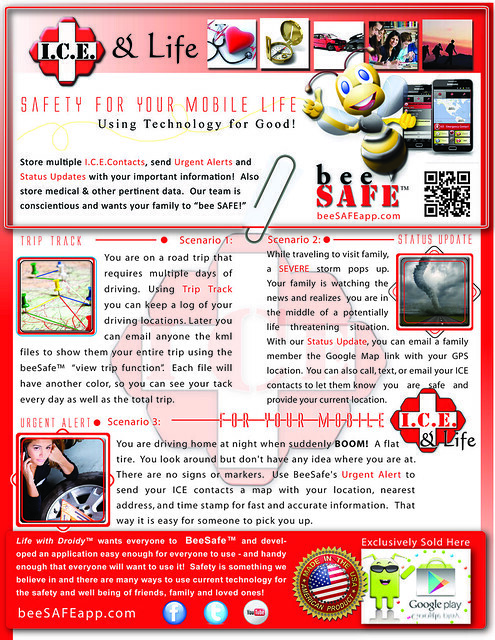 BeeSafe™ ICE & Emergency App supports the boyscout motto of "Be Prepared" and then you will know how to respond to any given situation. beeSAFE - Mobile Aps for Good! What's UR Flavor?